It’s always fun to celebrate with confetti. Use it fill balloons, sprinkle it on your table, or add it to your gift wrap. No matter how you use it, it always makes a celebration more festive. I don’t know about you but I decided a long time ago that confetti makes every gift look better especially when you make these fabulous DIY confetti gift tags. Follow along to learn how to make your own fun gift addition! 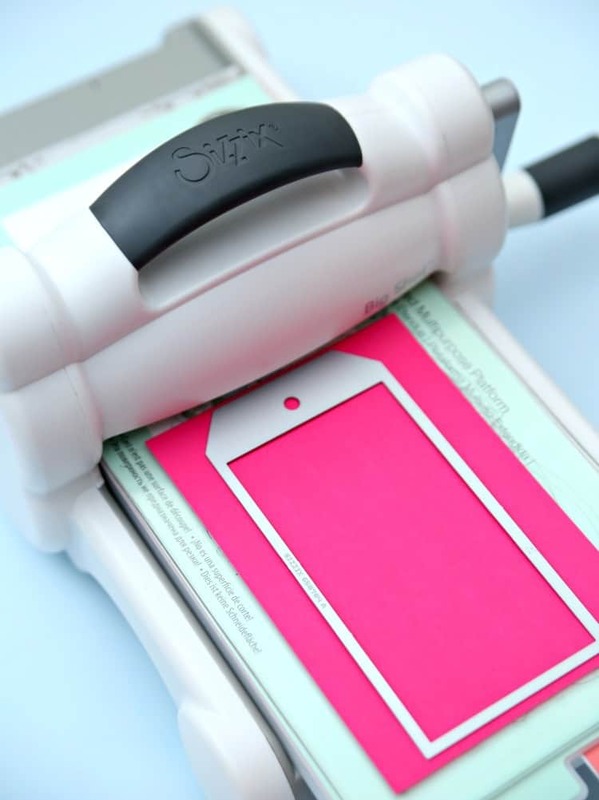 Cut two gift tags using the Sizzix Big Shot Machine and dies. Cut out a 2 inch circle from the center of one gift tag. 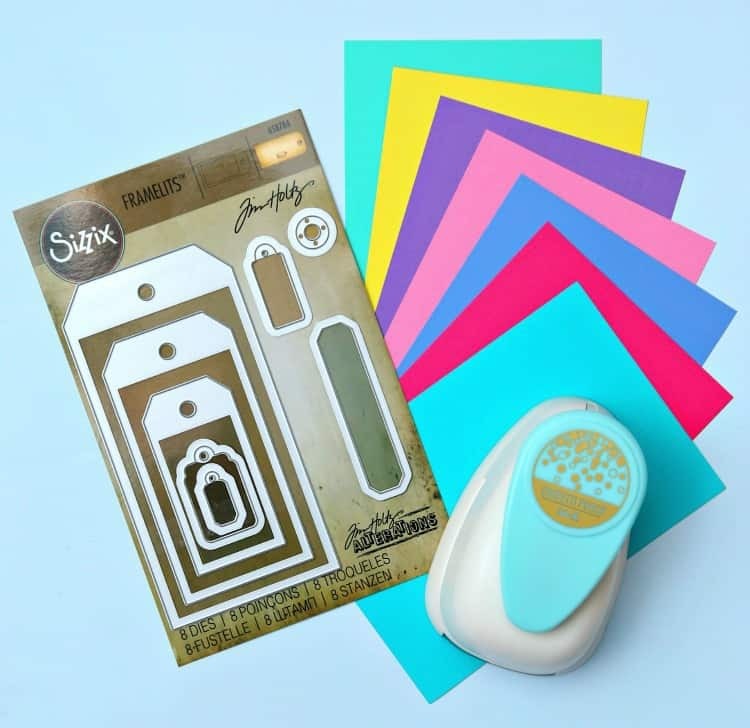 Now for the fun part – use the confetti punch and all that bright cardstock to punch out lots of confetti. This has to be the coolest punch I’ve ever used. Cut one side of the plastic bag so it’s a little larger than the 2 inch circle. Tape 3 edges of the bag to the back of one gift tag. Fill small bag with confetti and tape the top of the bag. Adhere the two tags together using double sided tape. I also printed out little messages on white cardstock but you could easily add your own sweet message to your gorgeous DIY confetti gift tags. Add ribbon and you’re ready to attach these fabulous DIY confetti gift tags to any gift bag or gift box. I’m certain that these DIY confetti gift tags will definitely put a smile on anyone’s face. They’re almost too pretty to give away. I guess you better just plan on making a lot for all your favorite people.